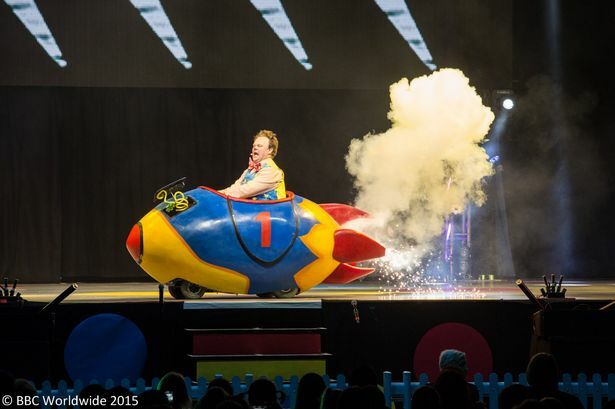 CBeebies Live Tour 2015. 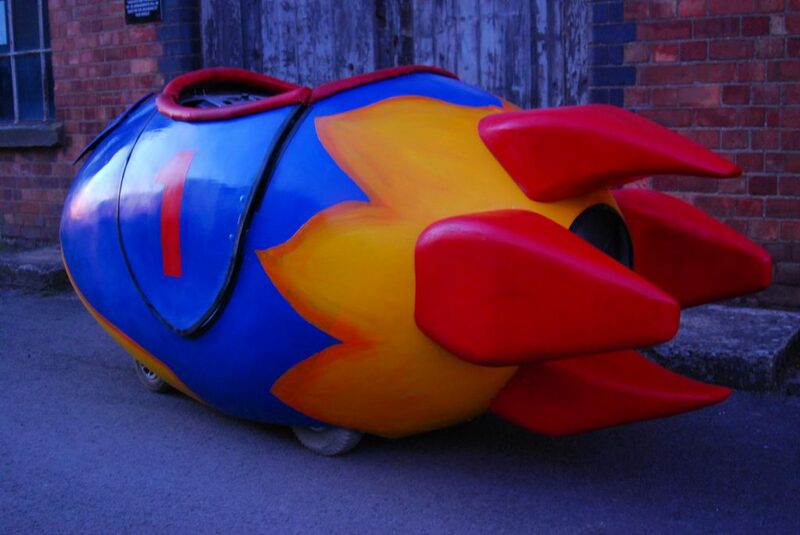 Rocket car, poly carved set dressing and Tiddles, a backpack dinosaur puppet. 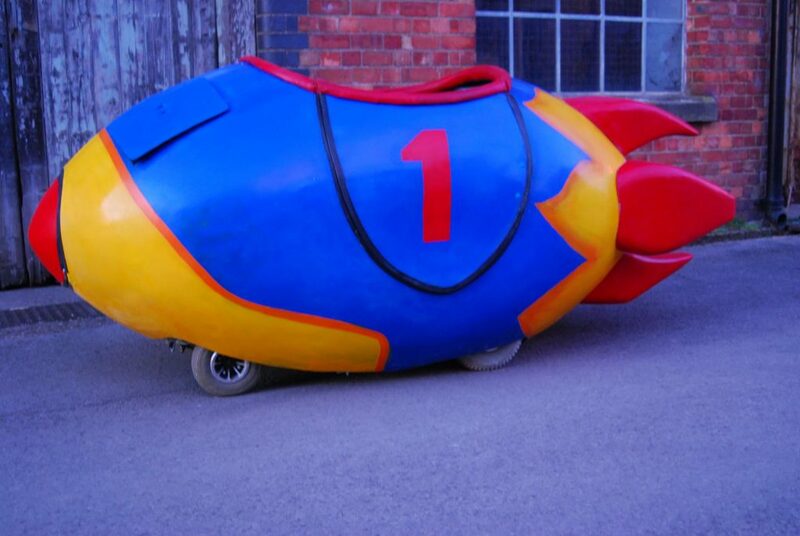 The Rocket car was a fibreglass body based on a mobility scooter and rigged to fall apart every show using electromagnets. 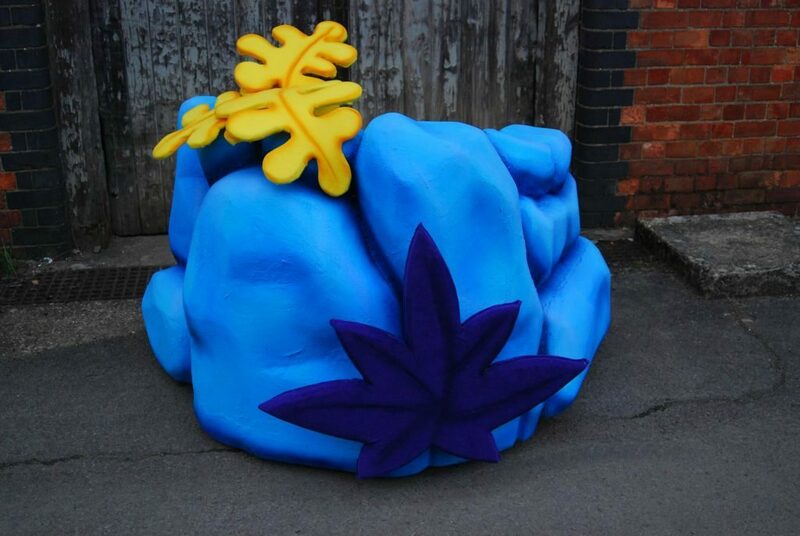 The blue rocks were poly carved and coated with jesmonite. The rocks split in two to travel. Tiddles was a single performer operated puppet with a moving mouth, eyes and arms, as well as a head tilt. 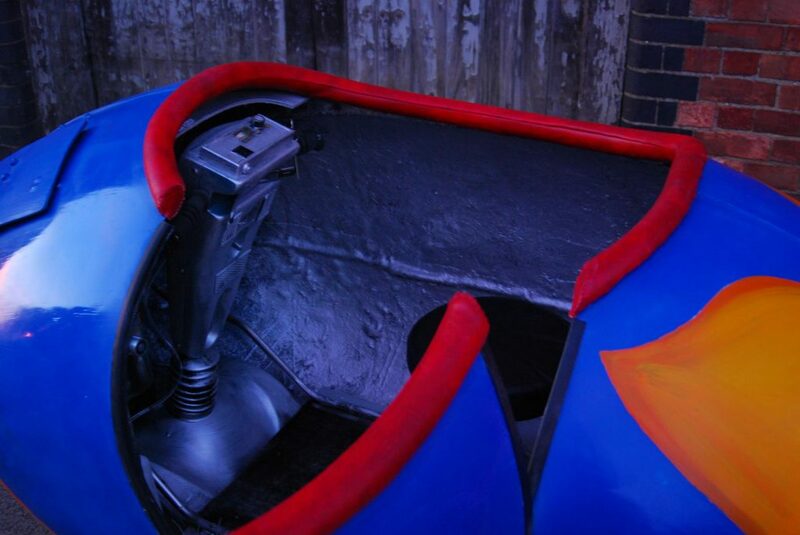 The legs were mounted to the performer’s feet to walk with the performer. 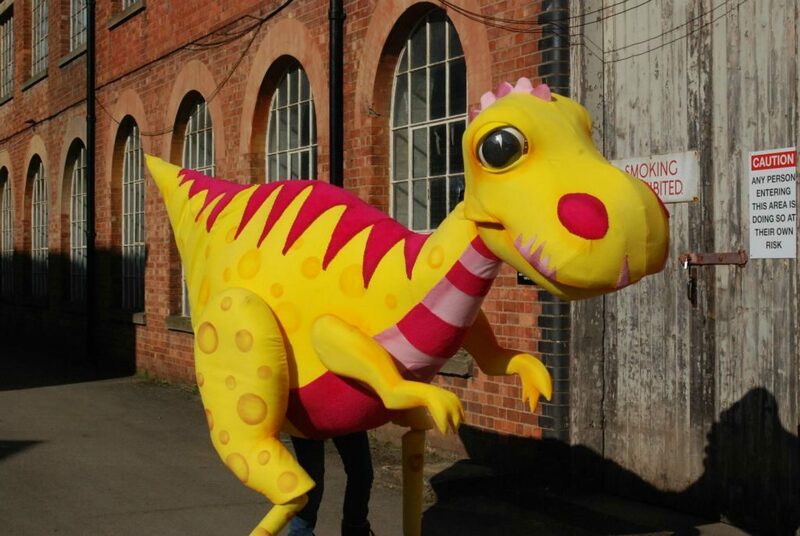 Of course, Tiddles was a dancing dinosaur.